Use ZenHub's Workspace notifications to track recent activity on GitHub Issues you're following, subscribed to, or participating in. Real-time notifications help you understand where to focus your time when viewing any Workspace. You're watching a repository. When first getting started, repo notifications are enabled by default. To update your settings, select a repo and choose Watching, Not Watching, or Ignoring from the drop-down menu. When watching a repo, any activity, on any Issue will create a notification in ZenHub. Not watching a repository, but subscribed to @mentions and comments on Issues you've previously participated in. When you're not watching a repo, but subscribed to general GitHub notifications, you will receive real-time updates for an Issue you have been tagged in, or for updates on Issues you've subscribed to. Don't want to see updates on the Board? Disable all notifications on Issues, select Ignoring from the drop down menu. 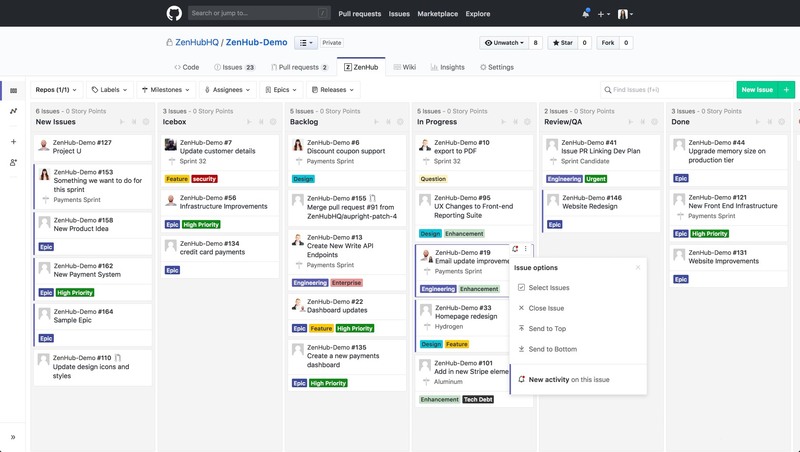 With ZenHub notifications enabled, you’ll have the ability to view new activity on Issues, provide critical feedback, and push projects more quickly through pipelines into deployment. Issues with new activity will be highlighted with a blue line to the left of each Issue. When hovering on an Issue, a notification icon will appear on the top right. After selecting the icon, click New activity on this issue to view the most recent comments added to the Issue. If you need to make any notification changes to enable the real-time Board updates, head here to customize your profile settings. 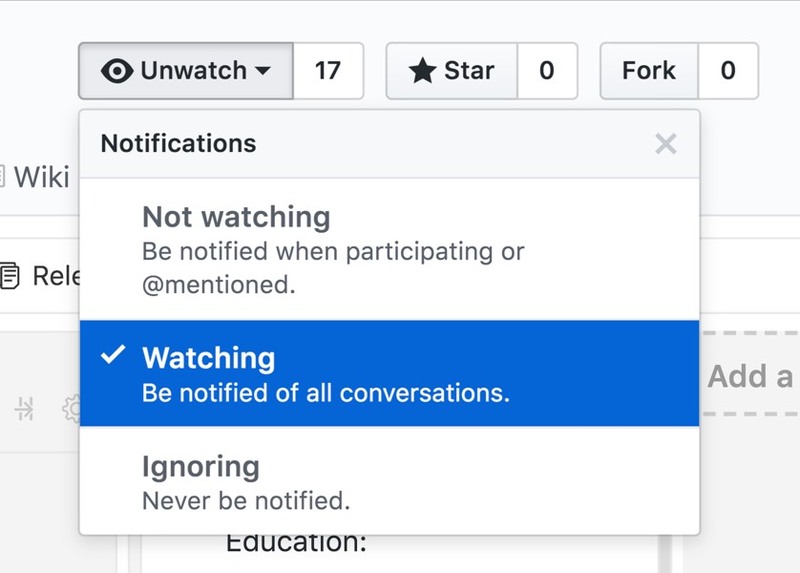 You can also view GitHub's in-depth notification guide here to learn more about notifications in GitHub.